We all want a little money set aside for a rainy day. We work, save, and scrimp hard to build a nest egg that will safeguard our futures, so it’s only right that we take the time to find the right sort of account to care for our capital. This is more complex than it sounds, and that’s why we’ve written this handy article to help you. Although a current account is perfectly fine for paying your wage into and keeping the money that you’ll use from day to day, a specially formulated savings account will be a much better option if you want to increase the sum you’ve set aside with a minimal amount of effort. For those looking to increase their wealth, a cash ISA can be the ideal option. Widely available from banks and building societies, they allow UK taxpayers to deposit up to £15,240 over the course of the 2016/2017 tax year, with no obligation to pay tax on this amount. They tend to offer far more attractive rates than their current account contemporaries, and have very few drawbacks. Even though some standard savings accounts may offer higher interest, an ISA can still be the more lucrative option because any money that you make will be tax-free. A major drawback with some savings accounts is that they tie your money up for a long period of time, leaving you without access when you might need it. Instant access savings accounts do what they say on the tin, and bypass this problem entirely. Usually, you’ll be awarded a cash card so that you can withdraw money wherever you are, and this means that you never need to worry about finding yourself short. Although lower interest rates are often offered as a result, a lot of people find that the boons of such an account outweigh this shortcoming. It is worth looking at what different providers can offer you first, and finding an account that suits your needs. If neither of the above sound like they would suit you, and you would rather prioritise profits over other benefits, then a fixed-rate bond might be a good option to consider. Offering a set rate of interest on your money for a specified period of time, they come with very competitive interest rates, which many find appealing. The main downside is that you must give up access to your capital for the term of the bond, denying you access to your funds if you find yourself in need of them. The longer you agree to be bound in this manner, the better the rate you’ll be offered, making them well suited to those with their eyes firmly fixed on the eventual prize. 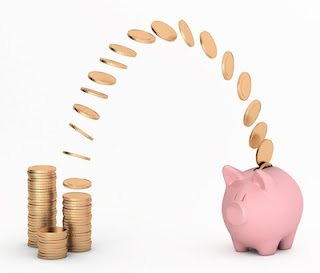 If you’re thinking of opening a savings account of your own, which option would be best for you? I wish we had ISAs over here in the States. At least our tax rates are lower, but perhaps not for very long!